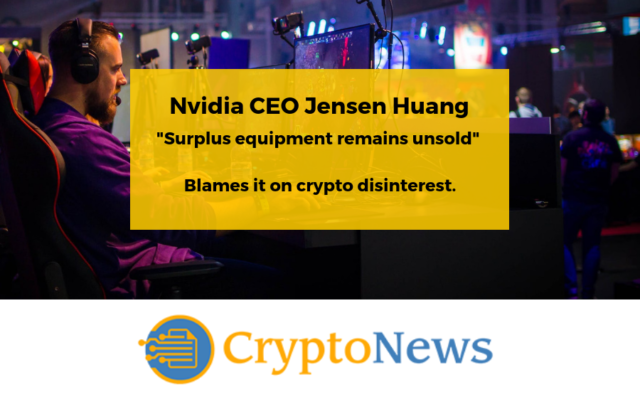 Nvidia, one of the world’s largest chipmakers known for their affiliation with gaming studios and publishers, did enjoy a significant boost in sales last year, during the crypto craze which emptied the GPU shelves of many stores. All but the lowest-tier GPUs were sold out, and Nvidia saw this as an opportunity to create their own mining series, similar to what ASUS created to seize this upcoming market. Unfortunately, things do not seem to be panning out well for Nvidia, as CEO Jensen Huang claims that cryptocurrency mining will play no important role in the company’s success, and expressed his surprise that the craze ended as fast as it did, and it has not resurfaced, after the major selloff at the beginning of this year. This leads to the company predicting lower than expected revenue in the upcoming fourth quarter. The development in data centers, gaming technology, and the automotive industry is more than enough to help the company survive, although not achieve their top-level goals. Throughout the year Nvidia’s stock price has suffered, much like the majority of the tech industry this year, but it has since recovered and is showing an improvement of about 3% at the time of writing. Although things have been grim for companies that are producing GPUs, or at least for Nvidia, the cryptocurrency mining market is expected to keep on growing throughout the next year. There are many mining facilities (such as Genesis Mining) that depend on acquiring more miners to remain profitable, so they pretty much have no choice but to invest their profits in acquiring new facilities, miners, and infrastructure. Chip producers especially ones that are making ASICs should expect to keep their sales figures stable and growing, for reasons described in the paragraph above. GPU producers, however, are not seeing the light at the end of the tunnel, with many of the “hype miners”, selling off their mining rigs to cover their losses or to cash in their profits. This creates secondary markets that individuals interested in mining with GPUs visit to find the deals they are looking for, which means that stores will stay full as gamer’s demand is satisfied. 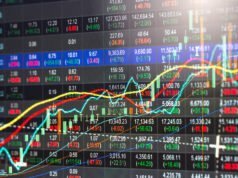 Could Maker’s DAI Stablecoin replace Tether?